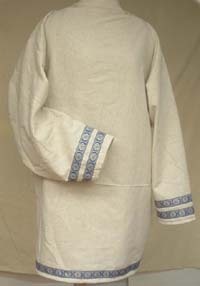 Arm Lgth Choose an option18"19"20"21"22"23"24"
Trim on sleeves and bottom of tunic. Measuring notes: arm length is measured from point of shoulder to wrist. Trim notes: Trims with printed designs may also be avilable. Call for details. 18", 19", 20", 21", 22", 23", 24"
32", 33", 34", 35", 36", 37", 38", 39", 40", 41", 42", 43", 44"